I spent a lot of time creating special pendants for my mother and mother-in-law when we got married. I wanted the gift box to be just as special. 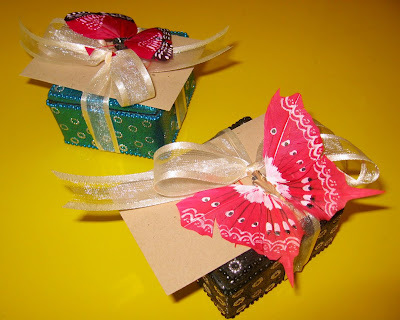 Combining bejeweled boxes with mini butterflies really made them stand out.